There is extra chaos in kitchen when there's a guest coming over to our place and also an amazing smell of spices wafts from the kitchen wrapping the whole house. One of the desserts that accompany the main courses is my grandmothers pudding. Which I have been enjoying since childhood and am sure the taste will remain on my toungue till I grow old. 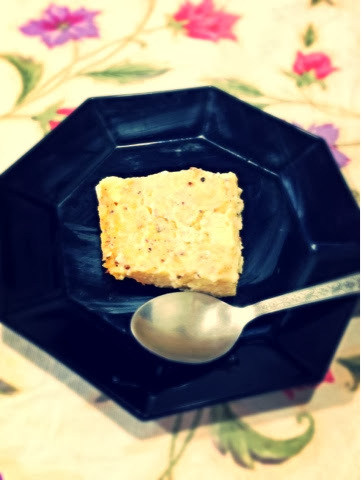 We all wait till dinner is done and desserts are served or atleast I wait so just to feel it melt on my toungue the smoothness and taste is really delicious or rather out of this world. 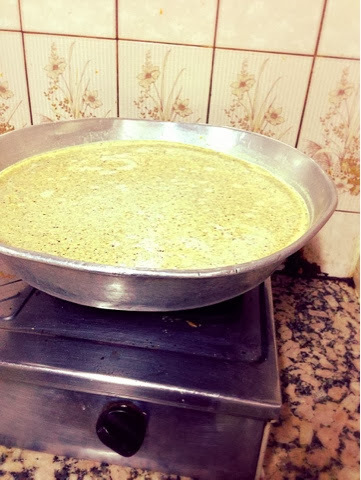 The recipe I think was given to my grand mum by one of her Bohri freind, maybe 35 years ago. This is step by step on how to make the pudding. 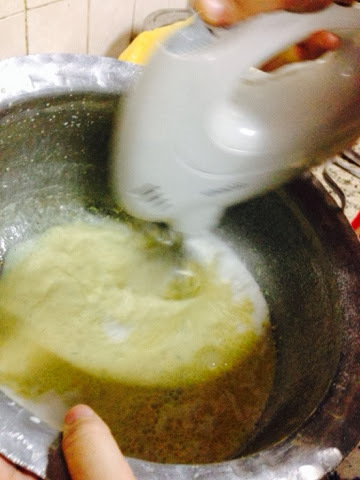 Mix water and milk powder. Add custard powder. 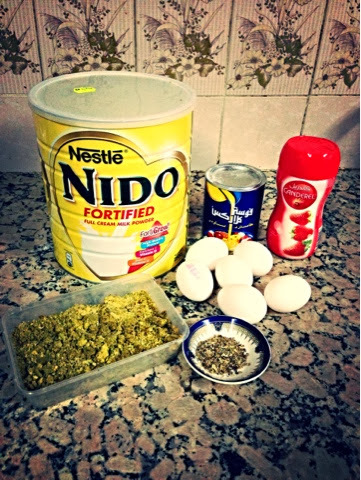 Add eggs one by one and blend. Add sugar and rest of the powders of cardmom and pistachios with hand blender. Add all the ingredients in huge cooking dish or a wok. 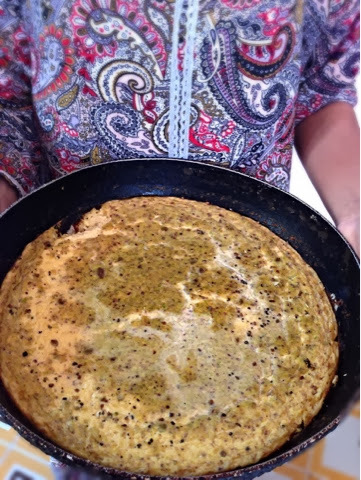 Make sure u keep on tawa (flat pan usually used to make roti) and cook on dum(steam) if you don't cook on dum chances of pudding are to get burned. Cook on medium flame for approx 45 minutes to 1 hour. Check like cake skewer testing if it comes out clean then it's ready. Refrigerate overnight and serve next day.